Martin “Marty” Robert Hill, age 81, went to be with the Lord while at home on Friday, September 21st. He leaves behind Nadine Nipe, his beloved, longtime companion of 22 years; his sons Harold, Rob and wife Mikki, Keith and wife Lisa; Nadine’s son, Ken and wife Deb; and grandchildren Tyler, Marisa, Alan, Lindsay, and Brian. He was preceded in death by his wife, Janine, as well as his brother Bill and sister Millie. Marty was born in Kaufman, Texas on December 12th, 1936 to Bryant “Bud” and Juanita Hill, who worked the cotton fields. They then moved to Seattle when his mother got a job at Boeing to support the war effort. 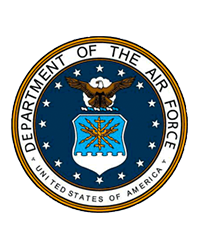 After graduating from West Seattle High School he joined the Air Force and after completing his service, he worked for Boeing Computer Services before retiring in 1994. Marty was active in his retirement and a long-time member of the Fraternal Order of Eagles, where he served various volunteer roles. Through the Eagles he met Nadine where they became inseparable. They spent their time golfing and traveling - frequenting Arizona to spend time with family - and they especially enjoyed dancing together, which he did right up to the last day of his life. He was long known for his selflessness, kindness, and sense of humor. These traits can best be exemplified by his active involvement within the church he attended, as well as his volunteer work at AARP where he taught driver safety classes for seniors. Marty was loved by all and will be missed by everyone who had contact with him.